Senior Pastor of Grace Congregational Church of Harlem, UCC since 2007, Reverend Nigel A. Pearce brings his deep faith and commitment to our beloved church in Harlem. His initiatives have included the development, organization and operation of Grace’s Food Pantry, a Children’s Head Start Program, as well as the creation of the Master Plan for the Dr. Muriel Petiono Charter School. He also orchestrated and managed the restoration of Grace’s 18 stained glass windows. 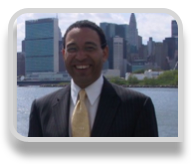 Reverend Pearce serves on the Board of Directors for The Lighthouse, the Samaritan Health Services and as Chairperson of the Foot Center of New York. He is currently working towards his Doctorate of Ministry in Multi Faith at the New York Theological Seminary. 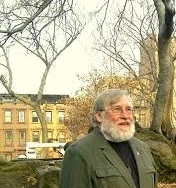 In 2010, Reverend Pearce received his Masters of Divinity Degree from New York Theological Society. He was awarded the prestigious President’s Award in honor of his academic excellence, spiritual commitment and support of community. Prior to Grace Church, Reverend Pearce served as Assistant Pastor at the Imani Baptist Church in East Orange, New Jersey. Before joining the ministry and answering his “greatest call to service yet” Reverend Pearce was a successful investment banker. Here, he serviced and invested money for urban economic developments, and small businesses. He also mentored and helped entrepreneurs raise start-up funding, write business plans and organize and manage their financial planning. A graduate of Rutgers University, Reverend Pearce was ordained as an Interfaith Minister by One Spirit Learning Alliance and by Grace Congregational Church. Reverend Pearce resides in Harlem and has a daughter. Father Clyde Kuemmerle holds a Masters of Divinity from New York Theological Seminary. He is the Executive Director of Ecclesia Ministries, an outreach pastoral program for the homeless. This program, which emanates from Grace Congregational Church, takes place at Marcus Garvey Park in Harlem.The Father was featured in the New York Times article titled “For People on the Margins, a Ministry Steps Outdoors.” The article highlights Ecclesia Ministries’ outreach program. Rev. Aaron Marcell Carter serves as Grace Congregational Church of Harlem’s Youth Minister, as such he works as a guidance counselor for underprivileged teens. His hope is to inspire young people to help themselves. Rev. Carter’s goal is, with God’s help, is to assist them in living more purposeful and meaningful lives. Rev. Carter was ordained to minister the Gospel of Jesus Christ on September 9, 2012, at Fifth Street Baptist Church in Oklahoma City, Oklahoma. A 2010 graduate of the Candler School of Theology at Emory University in Atlanta, Georgia, Rev. 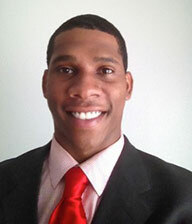 Carter earned a Master’s of Divinity degree with a focus in church and community leadership. While at Emory, Rev. Carter served as Youth Minister at Victory for the World Church in Stone Mountain, Georgia. In May 2007, he graduated from Newman University in Wichita, Kansas, with a Bachelors degree in Psychology. While there he joined Alpha Phi Alpha Fraternity Incorporated and became engaged in several community service activities. In his senior year, teammates elected Rev. Carter captain for the Newman University Jets basketball team. Rev. Carter was born March 8, 1985, in San Antonio, Texas. He is and is one of five children.